As I’ve probably already said, my trip isn’t just about wine. Naturally the most important thing for me is to travel to the regions and visit wineries to learn about the places, people and processes behind the many and varied wines of the world. As I have also probably said, wine isn’t just about what is in the glass and the facts about how it was made. So many things influence wine that it is hard to have one without the other. Cuisine for example, or culture. The previous weekend I went to San Sebastian to indulge in the former, and this past weekend I went to Bilbao to indulge in the latter. Specifically I wanted to visit the Guggenheim, and add it to the list of iconic galleries/museums I have visited in the last year, which include the Louvre and Musee d’Orsay in Paris, the Uffizi and l’Acedemia in Florence, and the Met in New York. 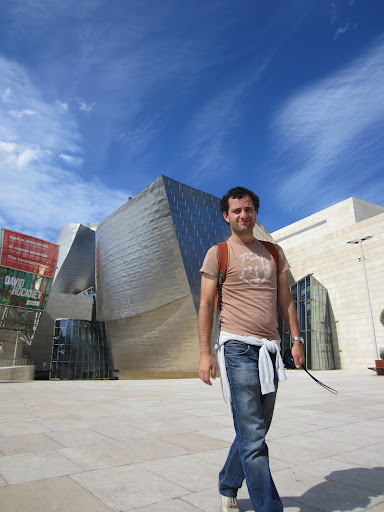 After visiting the Guggenheim in Bilbao I have now visited all three (the others are in New York and Venice respectively), but the Bilbao was probably the most impressive in terms of architecture and collection. Having got a bit of a culture fix, I journeyed to the eastern part of the Ribera del Duero region, which lies in the next valley south from Rioja. On my first day I ventured deep into the very mouth of the river to visit two producers who are doing things a little differently. In the small town of Quintana del Pidio, about three hours from Bilbao, live about 70 people and six wineries. One of these wineries is Cillar de Silos, one of the most important in the region. It is run by brothers Roberto and Oscar Aragon and their father Roberto snr, whilst their sister Amelia based out of London represents the wines in all of their export markets whilst studying for the MW . My visit to the estate was with Oscar, who handles the operations of the winery, whereas his brother handles the commercial side of things. We started by visiting some of the vineyards they source fruit from. The landscape here is pretty dry and warm, but also experiences quite pronounced diurnal oscillations in temperature. Taking fruit from their own vineyards is not enough, and so a number of growers with very old vines provide the balance. There are a number of different soil types which all impart their own unique character on the wine. The vineyards are generally tended in an organic manner, in an effort to mitigate the lack of rainfall and to capture the essence of the variety and place. With so many old vines not producing enough fruit each year, Oscar is grafting and replanting vines throughout the vineyards. 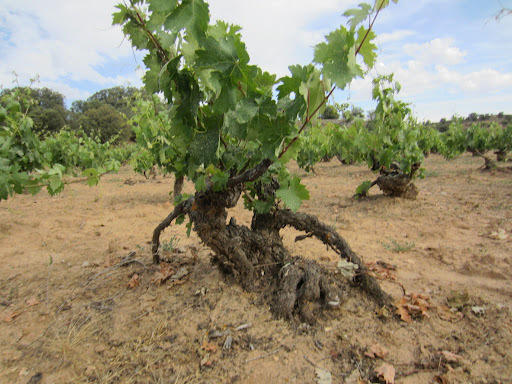 This is risky when the vines are young, as the fluctuations in temperature and humidity and the brisk wind make the new vines and shoots vulnerable. At the end of the day it is important to get a balance between old vine quality and concentration with the commercial concerns of producing enough fruit to make the wines necessary to remain financial. Back in the day fruit was brought to the ferment house, where huge vats were filled and then people crushed the fruit by foot. The wine would then go down into the cellars where it would be vinified and bottled. The historic cellars of Cillar de Silos date back to the mid-19th century, but they are now used for storing the premium wines as museum stock. In the winery the fruit is sorted and separated by origin and quality, and then vinified and aged in mostly French oak barrels. A new basket press has been purchased recently which has a glass basket so you can see the press going on inside. After barrel ageing the wines are left as long as necessary before release when they are showing their best. The Joven Tempranillo is probably the best in the entire Ribera del Duero, and I sold a tonne of it in the shop I managed back in Melbourne. After a very comprehensive tasting, including some back vintage Flor de Silos wines, I enjoyed an informal lunch with Oscar accompanied by some of their delicious Rosado. 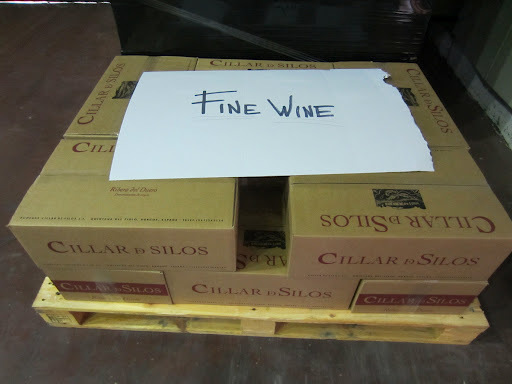 I am a huge fan of the Silos wines, as they all represent exceptional quality for price, and more importantly are approachable on release with oodles of character and ageing potential. Click here to read the notes from our tasting. The Duero River begins not far from the town of Soria, located another 90 minutes away. About halfway there I met with Bertrand Sourdais, who originally hails from Chinon in the Loire Valley (where he still makes wine and I look forward to visiting him there), but relocated to Spain back in the late ‘90s at the tender age of 23. Although he didn’t know much about Spain and its wines, he fell in love after joining a classmate to Alfaro during their studies in Bordeaux. This friend happened to be the nephew of Spanish wine icon Alvaro Palacios, who now runs the estate in Bierzo (another I’ll visit in a month). He was appointed the winemaker of the Bodegas Autauta winery, and arrived to a town of about 30 people, all at least 50 years old. A fresh-faced Frenchman rolling into town with different ideas about viticulture and oenology didn’t exactly fly with the locals, and it took several years for Bertrand and his crazy notions to be accepted. The idea was to look at what was happening underground that affected what happened above it, rather than simply looking at an agricultural perspective and influencing yields and quality through vine management. Eventually they came around, and he started to get some attention for the way he was regenerating some seriously old vines and producing some unique wines. Inspired by the likes of Alvaro Palacios and Peter Sisseck he realised that the only way to make a true mark in establishing a brand and getting credibility for it was to build it himself from nothing. A few years ago he took the first steps, by leaving the winery when it was sold to a large group, partnering with his right-hand-man Hernando, and he began to buy what parcels he could. With little money but a lot of patience they began to acquire more parcels, but only in the best and most unique parts of the Soria area. When I visited he took me on a very extensive tour that covered an area of at least a 30km radius, and I was able to see what makes him so excited. He has vineyards on three particular soils which are all used to make one wine, the Antidoto. The first soil type is limestone based, which brings the intensity and boldness to the blend. The lighter sandy soils bring more elegance and freshness, whereas the clay soils bring power and generosity. In the winery he tries to do as little as possible, just extracting the terroir out of the fruit and skins, and using absolutely no new oak. His wines are most definitely concentrated and expressive, but there is a softness and restraint that is exemplary. 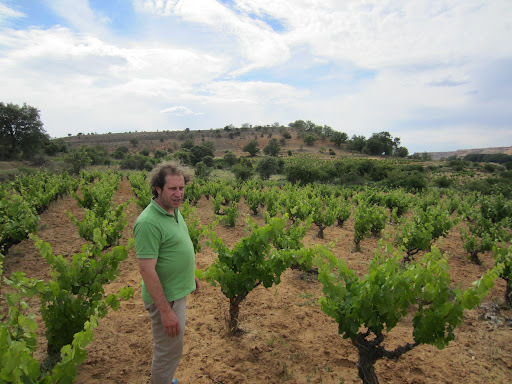 With his partner who hails from Alfaro in the Rioja region, he has bought additional vineyards in Soria from which they are making another wine for the future under the Domino de Es label, and I was able to look at the first vintage. Click here to read my notes from the barrel tasting. 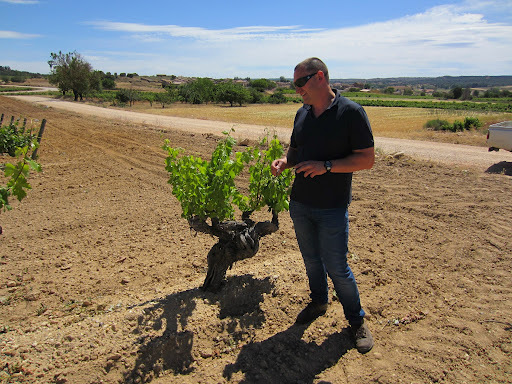 Click here to see more photos from Day One in the Ribera del Duero region of Spain. On the next post I continue along the river further west to visit one of the cult wineries of Spain.